It’s time to wiggle, twirl, bounce, shake, and sing! Filled with lively music making, exuberant singing, and spirited movement ideal for newly independent walkers, Kindermusik for Young Toddlers encourages your child’s speech, language, and physical coordination. Social skills are cultivated through interactive play that includes gathering and cleaning up instruments and props. Exploration of sound and rhythm using vocal play, songs, and echoing nurtures the development of your child’s communication. 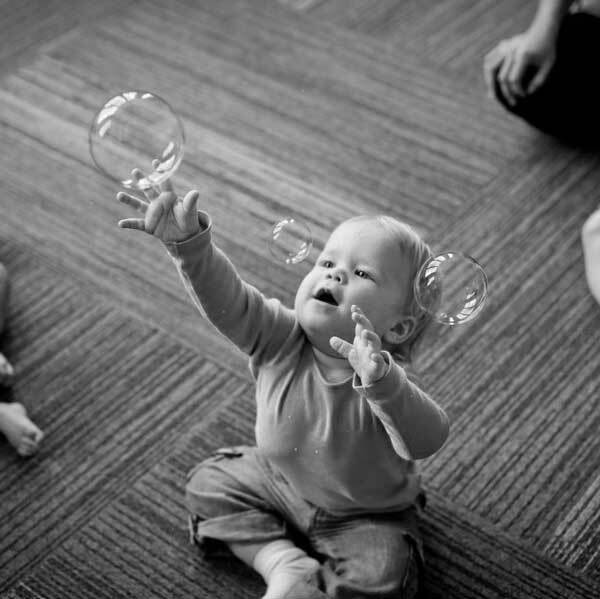 Joyous movement and instrument play improve both large and fine motor skills and body awareness all while fostering creativity, spontaneity, and self-confidence. Designed for active, curious tots ages 2 to 3 years, the Kindermusik for Toddlers class will delight and fascinate both you and your child. Energetic and imaginative movement alone and in groups develops your young one’s large and fine motor skills. Your toddler’s language and sense of rhythm are enriched by instrument play, stories, interactive amusements, and singing. Through the power of music, your child will gain self-confidence and create social connections as they interact, share, observe, and communicate with others. This Kindermusik combo class is ideal for families with siblings between the ages of 1 and 3 years old. 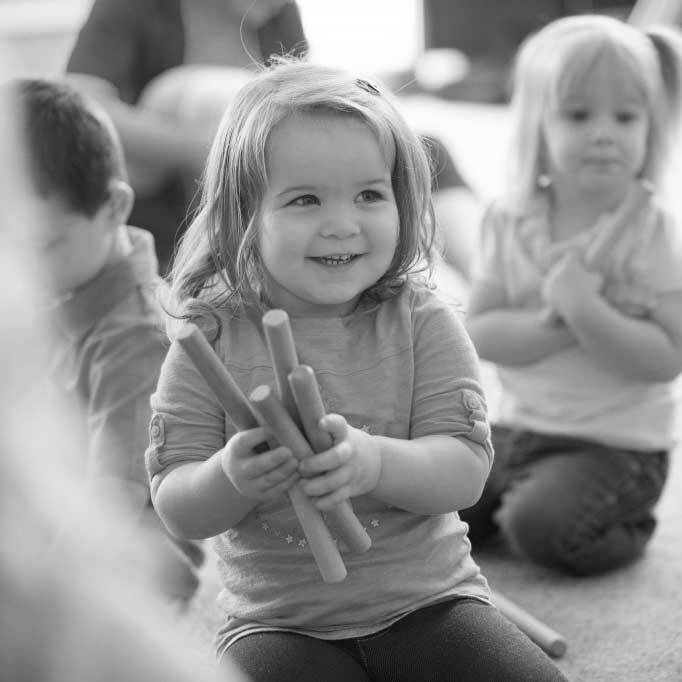 Our expert instructors adapt our Kindermusik curriculum to suit children ages 1-2 and 2-3 years, allowing both groups to acquire new skills and build upon existing ones. Kids and caregivers will participate in lively musical activities and animated movement to develop and refine both small and large motor skills. Playing with instruments, engaging in interactive amusements, and singing exuberantly enhances each child’s sense of rhythm and language ability while bolstering their social skills and self-confidence. 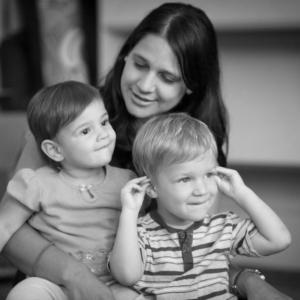 The exploration of sound, rhythm, and music as a family cultivates communication, connectedness, and creativity. In each class, we offer a vast array of musical instruments and props to keep your child engaged and intrigued.